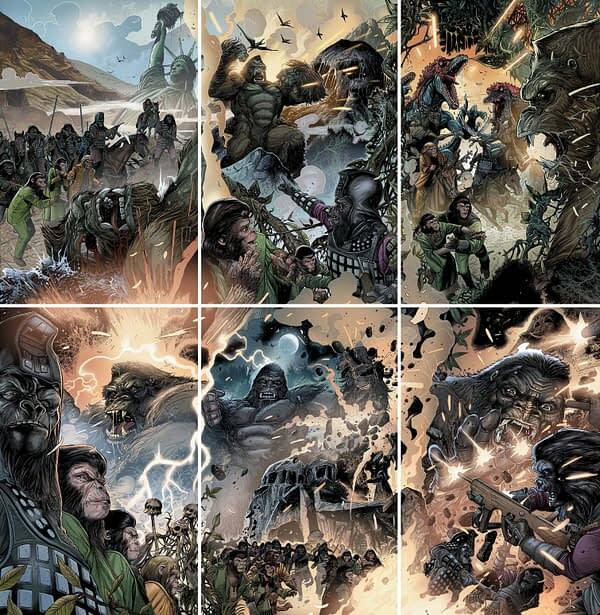 Carlos Magno is creating six covers for the upcoming Kong On The Planet Of The Apes mini-series that connect together creating a complete image. Final orders for Kong On The Planet Of The Apes #1 are due today, October 16th. It comes out on November 8th. WWE Gets Even More Funko Pops. Say Hello To The Bad Guy! NBA Kickoff: When The Outcome Seems The Same, Why Watch?